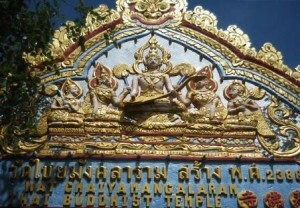 The temple is also known as Wat Chaiyamangalaram and is located at Lorong Burmah, Pulau Pinang. Via buses that pass by Burmah Road. Burmah Road is the main road- you need to get down when you see the Burmah police station. There is a lane between the police station and a Chinese restaurant- you just go in via the lane- the Thai temple will be on your left and the Burmese temple will be on your right- they are located opposite one another. The main shrine and the pagoda were built in the year 1900 after the land was granted by the East India Company on behalf of Her Majesty Queen Victoria, Queen of United Kingdom and Ireland on 30th May 1845. 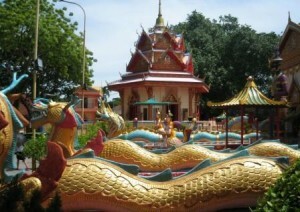 The main shrine had a few changes and the appearance is now of modern Thai designs. But the pagoda had retained its original design and structure since it was built. In the year 1910, the consecration and laying of the scared stones was celebrated. These sacred stones were buried beneath the little pagodas around the shrine and pagodas. Above: There is are about 2 big pagodas near the shrine hall. 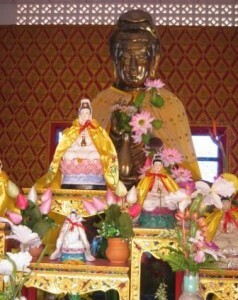 One has a Buddha statue (in sitting position) and another has a bronze Kuan Yin (Goddess of Mercy) bronze statue. Behind there is a huge pagoda a few stories high. 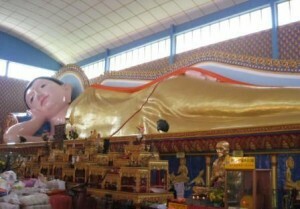 Above: The Sleeping Buddha located in the main shrine hall. 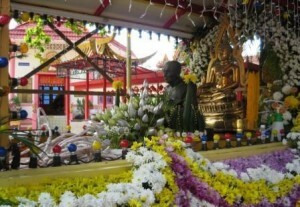 Above: If you come around Wesak, you will see a preparation like the above for the Wesak possession. When I was a student staying in Penang, a close friend shared with me that she came to the temple to pray to the Sleeping Buddha when she was feeling down. 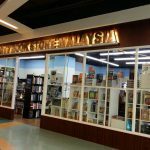 That time was really a tough time for her- she was bullied by some of her coursemates, constantly being backstabbed and had not much of friends- a lot of people were jealous of her academic achievement- which she had achieved through studying hard. When she was really down and felt she had nowhere to turn, she came here and somehow she always felt better afterward. Still, she was hardworking and faced challenges bravely. 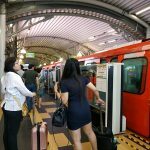 She eventually emerged as the top student and today, she is happily married with kids, staying in Singapore and have a high paying job. So when I felt down, she also advised me to come here as well. And I did- when I had nowhere else to go or no one that I felt could help me. 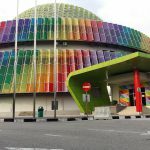 I used to ride my motorbike here and spend sometime to wish to get out of the challenges that I was facing. I remembered once or twice, I cried in front of the Buddha because I thought I really could not solve the problem. I remember begging the Buddha for help a few times. One time I really hit rock bottom. Then, solution to my problems did arise later- in unexpected ways. By chance I discover about meditation and was able to learn about Buddhism with a group of other senior students who went all out to help me. With that foundation, I’ve had the tool and enough inner strength to face the ups and downs in life- and develop the gift to sometimes help others as well. 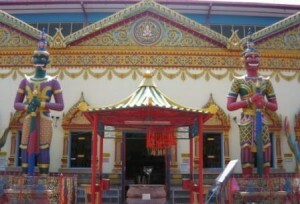 That’s why, everytime when I visit Penang, I try to make it a point to visit this temple and to express my gratitude. I asked, and my prayers were answered. Reason I share this is because I did not want you, the tourist, to visit this temple without knowing the fact that this place did touch lives.